"100 Towns for 100 Years"
The Special Event Call Sign authorization has now expired. The on-line log has been updated to reflect all contacts. QSLs are being processed as QSLs/reports are received. Don't forget the SASE! If you did not send a SASE or a SAE with an IRC or a Green Stamp to allow a reply, a card can not be sent to you. For those who did follow the instructions, your card is coming. Please be patient. marked "No Contact". First come, first served. Supply is limited. and you include an addressed envelope. than what is required to get the card to you by mail. This is NOT a solicitation and there is no charge for the card. If you wish to receive one of the colourful special event QSL cards, please read this page CAREFULLY and follow the requests. This special website provides further information about the Amateur Radio Special Event Station VC3F. Authorized by the federal regulator Industry Canada (IC), the station will operate with the special prefix and one-letter suffix from December 1 to December 31, 2003, inclusive. Authorization for the special call has been given by IC to R.D. 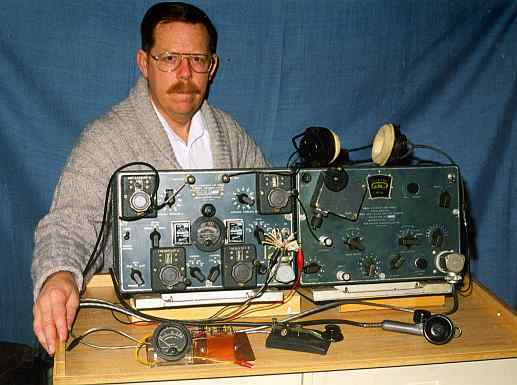 (Bob) Cooke, VE3BDB, of Orillia, Ontario, Canada, CQ zone 4, ITU zone 4, grid locator FN04EQ. Orillia is located approximately 70 miles (by highway) north of Toronto. Click for map of Ontario. Purpose of the station is to mark the Centennial of Flight through highlighting Canada's observation of it. Powered flight, which began on December 17, 1903, has played a very important part in Canada's history, in peace and war, and it is only fitting that Amateur Radio be a part of observing this important benchmark. The VC3F station will operate on as many HF bands as possible, particularly 10, 12, 15, 17, 20, 40 and 75/80 Meters. We also hope to have some activity on 6M. Both voice (SSB, FM, AM) and CW will be employed. Some 30M CW ops, as well as limited FM VHF 2M ops, may take place, as well as 10M FM. However, for simplicity, the majority of operations will be voice (SSB, AM, FM). RAC Band Plans will be observed in regard to modes. Hours and bands of operation will be determined by propagation conditions and the ability of the operator to be available. In all cases only one band and mode will be utilized at any given time. 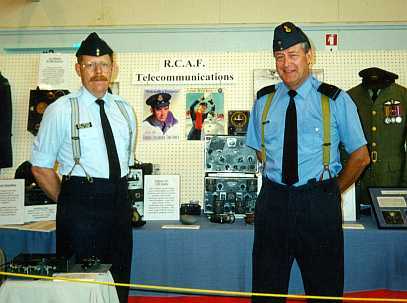 Operators will be VE3BDB (right in photo) and David Lawrence, VA3ORP (left in photo). Both have a former connection with the Canadian military. Click "Operators" to see them. Both are members of The Wireless Set No. 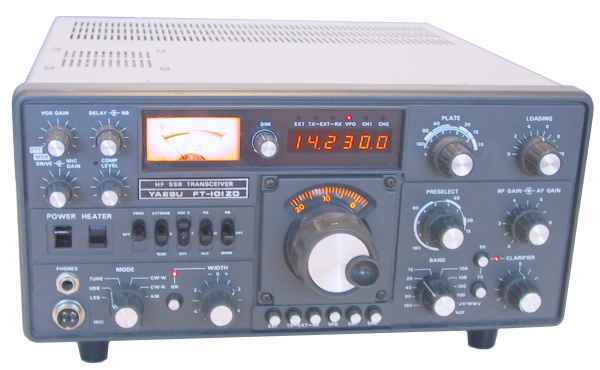 19 Group, since 1991 a world-wide organization of Amateur Radio Operators who collect, restore and operate vintage military communications equipment of all types and makes. For info on that Group, see The ORIGINAL Wireless Set No. 19 Website, established in 1997. 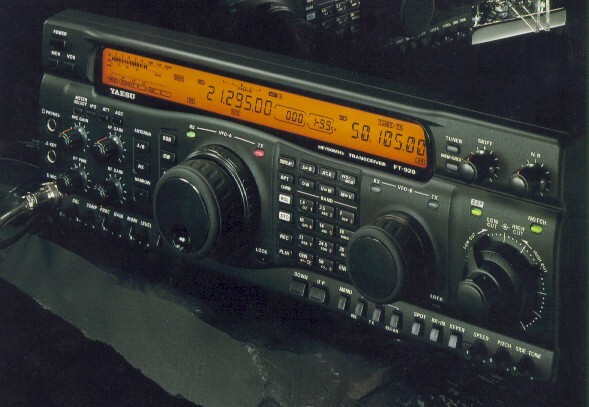 Equipment will be a Yaesu FT-990 or a Yaesu FT-920 transceiver running 100 watts, to either a G5RV dipole or a 3-element beam antenna, depending on band, etc. Back-up will be an FT-101ZD @ 180 watts. Some operations will be with vintage World War II equipment, in particular the RCAF AT1/AR2 shown in the photo with VA3ORP who will be operating those twins. Credit and thanks: The "Centennial of Flight" logo is ©Copyright and used with the kind permission and courtesy of the Department of National Defence, Canada. 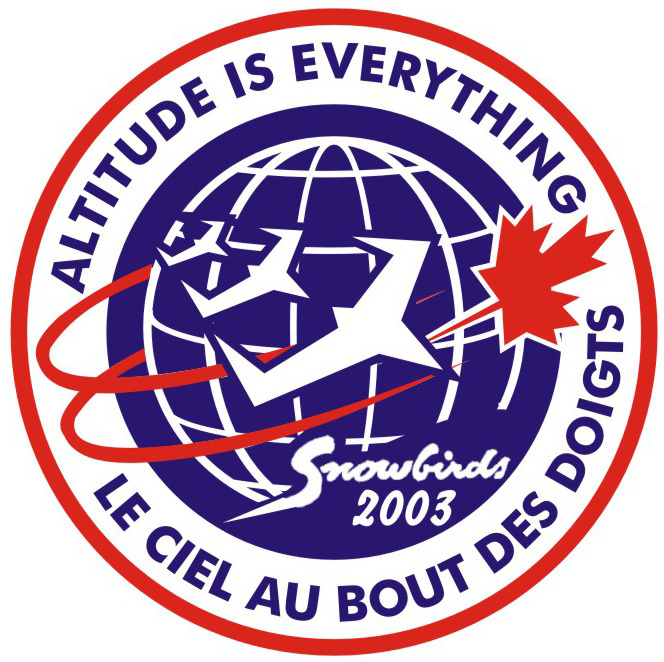 The ©Copyright "Altitude is Everything" logo is used with kind permission of the chairman, Canadian Centennial of Flight Campaign. We gratefully acknowledge the generous support of this project by Amateur Radio dealer . Their website can be seen by clicking the Radioworld logo. Recognition is given to Technisoft Printing for donating computer design time in the preparation of the VC3F QSL card. Sincere thanks are extended to IC's Amateur Radio Service Centre, as well as to Radio Amateurs of Canada, for making the special event station possible. We ask that contacts be confined to ONE per band and mode. In other words, one voice and one CW contact on each band. Sorry, we are not operating digital, other than CW. All logging is done manual so please bear with us. ALL REQUESTS for confirmation of contact (QSLing) must be made directly to VE3BDB. Mailing address, which is in all current call sign databases and call books, is 424 Homewood Avenue, Orillia, Ontario, Canada L3V 3K8. Please note that ALL reports MUST include a stamped, self-addressed envelope (SASE), measuring at least 3.5 inches by 5.5 inches (9 cm by 14 cm) to hold a standard-size QSL card. Slightly larger would be better. If your SASE does not have the proper Canadian postage stamp of sufficient denomination affixed to it, or if you fail to enclose a SASE and IRC or similar, we're sorry but a QSL card can NOT be sent. For those not able to provide a Canadian postal stamp, a self-addressed envelope is still required, as well as an IRC or sufficient "green stamp$" to permit the mailing of a return QSL. Please work with us. PLEASE NOTE: U.S. STAMPS CANNOT BE USED FOR MAIL ORIGINATING IN CANADA. It's not the same country! The QSL Bureau must not be used for this event and electronic QSLing will not be undertaken. Cards will be sent ASAP so please be patient. See your QSO contact by clicking the VC3F Station Log of Contacts link below. Please check your entry in the log to ensure no error has been made by us in transcribing. Check the log to see if your card was received, indicated by "R" in the comments area. If that indication is there and you did not receive our card it is probably because you did not follow the instructions above. Links: Below are various links related to this event. You are invited to visit them so that you might obtain further information about the Centennial of Flight, as well as Canada's participation in the observation of this important milestone. 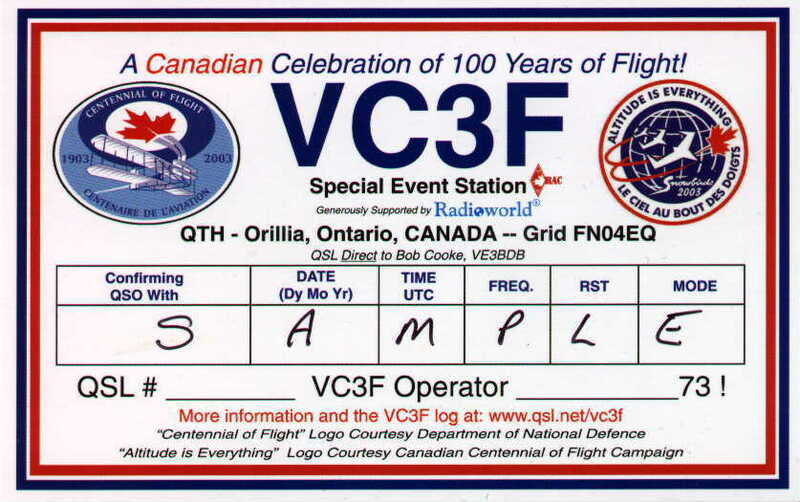 Included is a link to a reproduction of the VC3F log book and a sample of the VC3F QSL card. Time permitting, it is intended to keep a running on-line log of all contacts made by VC3F. The log will continue to be displayed on this website for a period after the end of the Special Event, indicating those stations from whom a QSL was received and to whom one was sent. Other Contact: For logistical reasons, we cannot normally reply to email or other queries regarding this event. The sole return contact will be by special event QSL card confirming the QSO, in accordance with QSL conditions shown above. However, it is recommended that you check this website frequently for updated news or notice of any changes, etc. regarding operations. See link below. Thank you for participating in the celebration of this historical event! We are looking forward to working your station!! Personal accounts and anecdotes pertaining to private, commercial or military aviation experiences are of particular interest. Please share them here! Interested in becoming a Canadian Air Force Pilot? "Per ardua ad astra" or " through adversity to the stars" was adopted by the RCAF when it was formed April 1, 1924 and it is displayed on the Air Ops hat badge. It replaced the original "Sic itur ad astra" of the CAF. © 2003 R.D. Cooke, VE3BDB. All rights reserved. NOTICE: This website contains Copyright material and may not be reproduced in any form, in whole or in part, without the express written permission of the website owner, R.D. Cooke, VE3BDB, and/or of the respective Copyright holder. "Centennial of Flight" and "Altitude is Everything" logos are used with kind permission.